Cosmic Girl integrated with LauncherOne rocket made its 80-minute test flight in November 2018. Credit: Virgin Orbit. LauncherOne is designed to carry payloads weighing between 300kg and 500kg. Credit: Virgin Orbit. 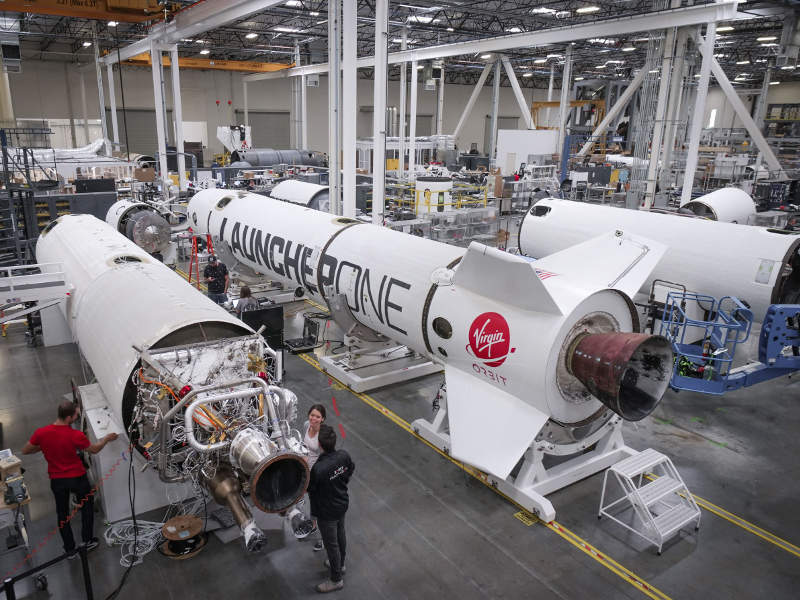 Virgin Orbit plans to schedule the first launch of LauncherOne in early-2019. Credit: Virgin Orbit. LauncherOne is a medium-sized rocket designed and developed by Virgin Orbit for placing small commercial and government-built satellites in low, medium and high Earth orbits. The rocket will be air-launched from a customised and dedicated Boeing 747-400 aircraft named Cosmic Girl. Integration of LauncherOne into the Cosmic Girl carrier aircraft was completed in October 2018. The aircraft fitted with the LauncherOne rocket successfully made its 80-minute test flight in November 2018. The new rocket will be an ideal launch platform for small satellites, which may not get launch schedules easily, as they require a perfect payload combination on a launch vehicle, resulting in cost escalations. LauncherOne offers a dedicated launch solution to address launch traffic issues as the satellite can be launched from an aerial launcher at a convenient time for the customer. The first satellite launch by LauncherOne is scheduled in the first half of 2019. Virgin Orbit intends to build 24 LauncherOne rockets a year. The LauncherOne rocket is a 21.33m (70ft) long all-carbon composite structure. The two-stage rocket integrates payload fairing, a first-stage NewtonThree engine, and a second-stage NewtonFour engine. The rocket features liner-less tanks to achieve weight reductions. The maximum take-off weight of the LauncherOne is 25,854kg (57,000lb). The rocket is fitted to the pylon under the wing of the specially designed 747-400 wide-body aircraft. The pylon is designed to carry a maximum weight of 38,555kg (85,000lb). The LauncherOne rocket is designed to carry payloads weighing 300kg to sun-synchronous orbit and 500kg to an equatorial orbit. The satellite is securely placed inside the clamshell housing of the rocket. The air-launched rocket supports the launch of small satellites for applications such as earth observation, telecommunications, climate monitoring, asset tracking, and technology demonstration. It can deploy satellites between a 0o and 120o range of orbital inclinations while placing them into low, medium and high Earth orbits, based on the requirement. The Cosmic Girl aircraft with LauncherOne on-board can take-off from various launch locations around the world. 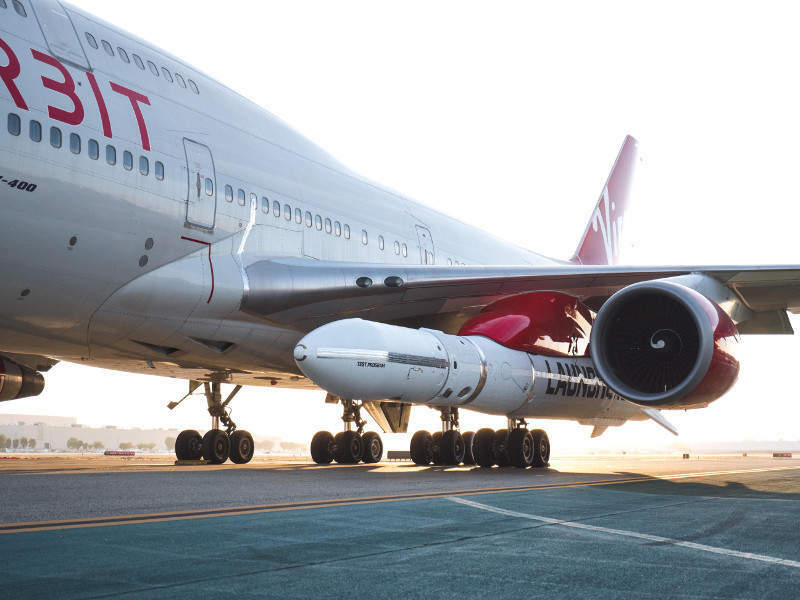 Virgin Orbit plans to conduct its initial launches from Mojave Air and Space Port, California. The aircraft will travel for 30 minutes to four hours to reach the required altitude and the deployment zone of the satellite. It will release LauncherOne from its pylon at an altitude of 35,000ft, with an angle of 27° skywards. After the release, LauncherOne makes a free-fall descent for four seconds before the first stage engine NewtonThree ignites to life. The engine has a run time of three minutes and will propel the rocket at a speed of 12,874km/h (8,000mi/h). The second stage engine is ignited when the rocket reaches an altitude ranging between 498km and 1,199km. It burns multiple times for six minutes and will propel the rocket at a maximum speed of 28,163km/h. The fairings open up when the payload reaches its destination and the satellite is placed into its target orbit. Nasa selected Virgin Orbit to deliver Venture Class Launch Services (VCLS) for CubeSat missions. Sky and Space Global (SSG) and Spaceflight will be among the first companies to launch satellites on-board LauncherOne. 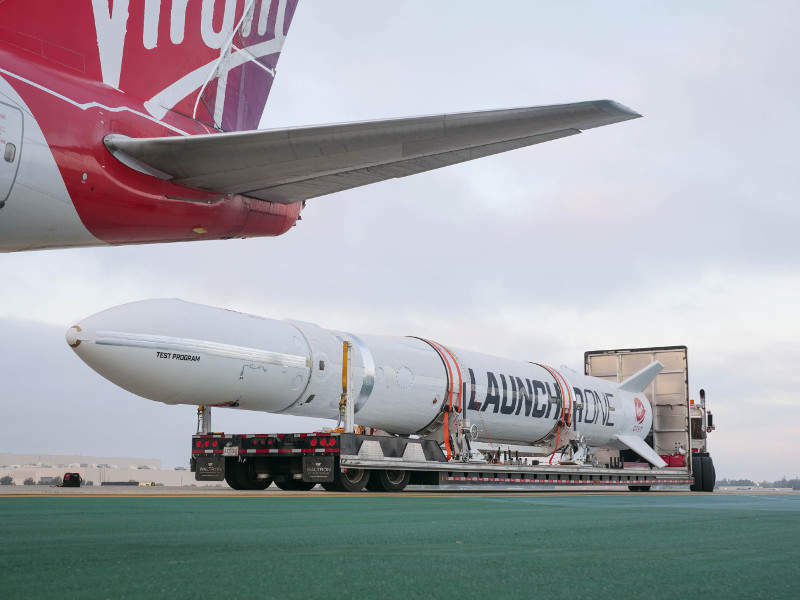 One Web placed a contract with Virgin Orbit for launching 39 satellites on-board the rocket.